The price of a 1-oz platinum coin is now $860. Platinum is down 62% since its 2008 high of $2,300/oz. 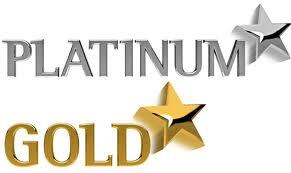 Today, one Troy ounce of platinum is selling for about $400 less than one Troy ounce of gold. It is a traditional “buy signal” when platinum is selling at a discount to gold. When we analyze the fundamentals of actual supply and global demand for physical platinum, it appears platinum is at the bottom of its cycle. Gold is rare; but platinum is at least ten times more rare than gold. During the financial crash in 2008, gold went to $1,000/oz for the first time (March 14, 2008). On the same day, platinum jumped to $2,107/oz. Both metals had doubled in only two years because of acute, physical shortages. 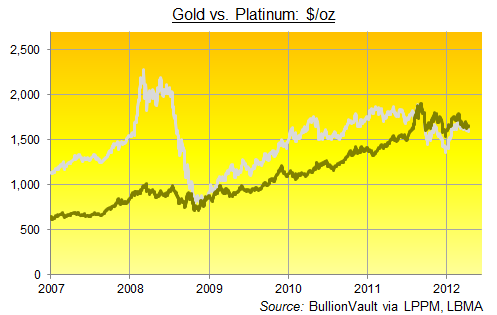 Platinum’s rapid rise in 2008 and rapid fall in 2009 scared away institutional investors from derivatives funds. The highly-leveraged Platinum ETFs (Exchange Traded Funds) are no longer popular. Now, 60% of buyers prefer to make direct purchases of physical bars and coins. Platinum is an indispensable strategic metal because of its unique properties. It is necessary in high-technology, and cannot be substituted (the density of platinum cannot be copied). According to the World Platinum Investment Council, there have been supply shortages of platinum (and palladium) every year since 2010. WHAT SUPPLIES PLATINUM TO THE MARKET? For the last four to five years, the supply of physical bullion has come mainly from significant liquidations of the actual platinum bullion that backs Exchange Traded Funds (Platinum ETFs). Recycled platinum (jewelry) and recycled catalytic converters (cars) have been used to fill gaps in the supply. South Africa is the largest platinum producer (more than 4/5ths of world production). But at today’s low prices, the country’s mines are not viable. More than 50% of the mining industry is operating at a loss. South African PGM mining (Platinum Group Metals) is not supported by current prices. During a recent, five-month strike, the mines honored pre-strike prices and sold off material they had stock-piled in advance of the strike. A significant amount of platinum production was lost; and now the three major platinum mining operations (Amplats, Impala, Lonmin) are putting assets on the block. PLATINUM IS A SLEEPER: Any supply disruption will re-ignite ferocious price momentum. The entire platinum market is only seven million ounces. Central banks do not stock-pile platinum. There are no sizeable, above-ground stocks of platinum. Supplies from Platinum ETFs (bullion liquidations), recycled catalytic converters (cars), and recycled platinum (jewelry) are limited. 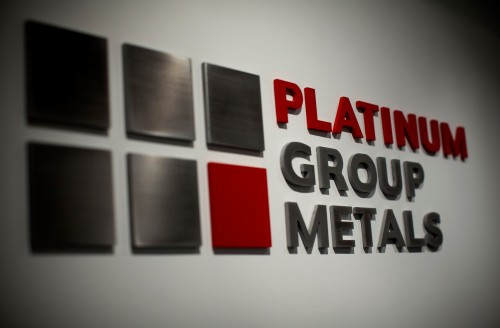 Platinum Group Metals (PGMs) are used in 20% of all manufacturing. When there are PGM short-falls, prices move violently. International sanctions against Russia could interrupt PGM supplies. Russia produces 40% to 50% of global palladium and 14% of global platinum. 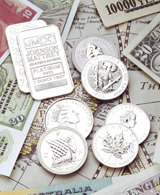 Platinum and palladium 1 oz coins and bars are available –at various premiums over spot– from mints in Canada, Australia, China, Switzerland, Russia, Isle of Man, and the U.S.
A growth area for palladium is water purification (to clean contaminated groundwater). The “thin” palladium market is volatile because of tight supplies. 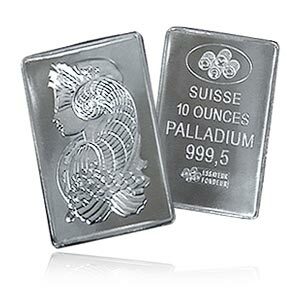 Palladium is now at $555/oz (Dec. 2013 low was $692/oz; Aug. 2014 high was $911.50/oz; Oct. 2014 low was $729/oz). Russia is the largest producer of palldium. However ore-grades are deteriorating and Russian production is in decline. Craig Rhyne offers personalized service with privacy & competitive prices. Questions? Call (206) 719-6368 to discuss Model Precious Metals Portfolios.